The context of the Toolkit for Joint Action is determined by the erosion of social security, massive unemployment and the unstable labour market in Croatia, which brings crucial themes to the fore: the new poor, workers' self-organising, direct democracy, social solidarity, self-organised citizens' activities, and contextual theology. 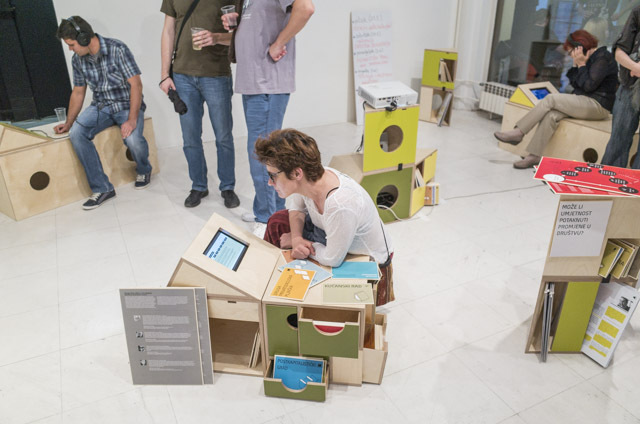 In addition to activities that include workshops, lectures, discussions and screenings related to the main themes of the project, the central element takes the form of a portable modular spatial unit - a toolkit - that was created by all the participants in the project. 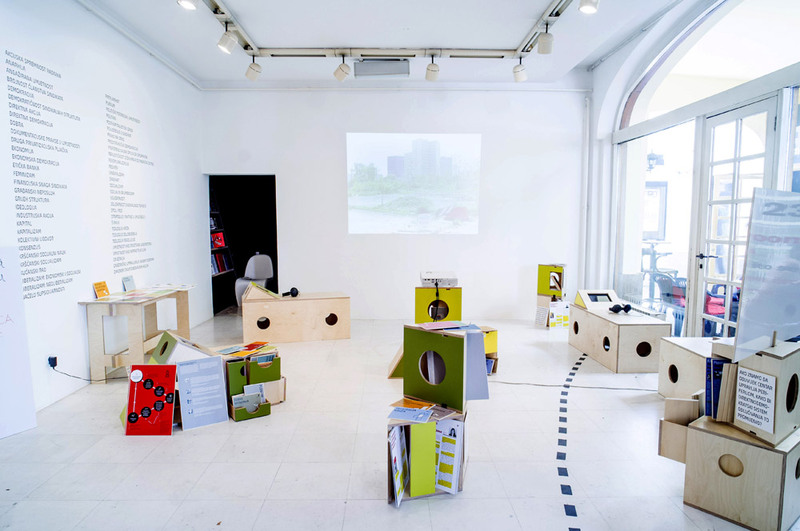 Initiated in the Gallery Nova in Zagreb the toolkit travels around Croatia and the region with the purpose of educating, informing, opening a dialogue, networking and archiving of previous material. Using art's resources to establish wider infrastructural support for different forms of social activity, this project does not reject art as its starting point, but, beginning as well as one can, uses it as a possible initiator of critical pedagogy, in which art is not the ex-clusive means of representation but a cohesive force, able to mobilise ideas, encourage discussion and initiate action.